PADI Asia Pacific Regional Managers Tony Andrews and Hans Ullrich would like to wish PADI Assistant Instructor Trevor Chennells the best of luck with his new life. After leaving England over 12 years ago, Trevor’s story has inspired many people, including many PADI professionals who have worked and shared many memories with Trevor over the years. Trevor left England with nothing more than a round the world ticket and a backpack. At the age of 47, he decided that there must be more to life than just the usual 9 to 5 routine that he had been so used to for so many years. 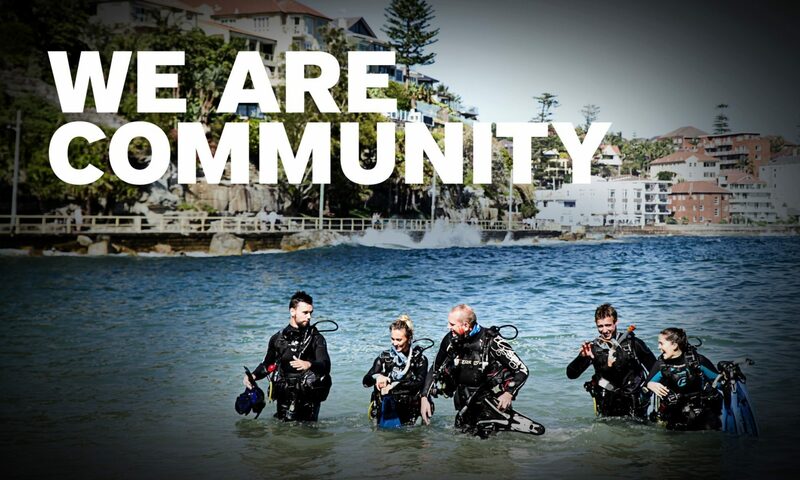 After completing his PADI Open Water and Advanced Course, Trevor continued his travels to Australia where he enrolled onto his first PADI Professional Course (PADI Divemaster). Due to time constraints, Trevor was unable to finish his course here, and headed to the Phi Phi Islands in Thailand. It was here in 2002 that Trevor was introduced to PADI Dive Centre Long Beach Divers. During his first dive, Trevor’s newly acquired skills were put to the test in a real life scenario when he had to assist a panicked diver in the water. He calmly controlled the situation and safely ascended from the dive, ensuring both divers’ safety, and that the panicked diver’s confidence and enthusiasm for diving weren’t shaken. Impressed by the way in which Trevor handled such a situation, the dive centre manager offered Trevor full time employment as a PADI Divemaster, and at the age of 48! From here, Trevor guided dives and assisted on PADI courses. In 2003, he decided to become a PADI Assistant Instructor. Trevor decided not to complete his full PADI IDC, and his reasons for doing so bring us the focal point of his story. Trevor’s love and passion for diving was fuelled not by teaching courses, but by helping people to discover their own love for the ocean, and the significance and impact of the underwater world. In 2006 Trevor became the Manager for Long Beach Divers, and has remained in this position until now, continuing to share his love for Scuba Diving. At the age of 60, Trevor’s life has changed beyond recognition. Now happily married, Trevor will begin a new chapter in his life, and embark on a new adventure, returning to England with his family, to share his happy memories and many, many diving stories with his Grandchildren in England. Over the past 12 years, Trevor has worked closely with PADI Asia Pacific, in addition to be a loyal and active member. Please help us wish the very best to somebody who has already inspired so many, and has always continued to share his enthusiasm for our ocean, and diving with a passion, “Never Say Never”.